Interested in Selling your Condo in Spiaggia? The neighborhood of Surfside is one of the most luxurious and exclusive neighboring Bal Harbour to the North and Miami Beach to the South. With immediate access to the Bal Harbour Shops, where you will find the best of upscale shopping and dining, the Spiaggia condo provides the best of all worlds to their discerning owners. Dedicated to providing only the finest services and amenities, this magnificent property is the only place where you will find the lifestyle that you demand and enjoy all the benefits that South Florida oceanfront living has to offer. As soon as you enter the spectacular lobby, you’ll be surrounded by Mediterranean-style opulence and comfort. Flowing water provides the background music that sooths the mind, body and spirit while the soaring lobby evokes images of Tuscany or Old Rome. The grounds are in line with the style and offer Mediterranean themes set amid tropical splendor. The incredible pool would look equally home at a spacious resort in Italy, and the incredible sundeck offers the best way to soak up the heat of the sun. If the sun is too warm, simply step inside one of the poolside cabanas and relax in air-conditioned comfort. Featuring 1, 2, and 3 bedroom residences and penthouse homes from 689 to 4,160 square feet, Spiaggia Condo is the new word for excellence and luxury in Surfside. Each condominium residence includes bamboo flooring, premium carpeting, as well as Italian marble highlights throughout. Enjoy open gourmet kitchens that feature European crafted cherry wood finished cabinets, sleek kitchen and stainless steel appliances and Italian marble countertops. Serenity can be found in the spacious marble bathrooms, with Jacuzzi tubs, glass shower enclosures and European fixtures. Situated just blocks from the Bal Harbour Shops, Spiaggia promises to satisfy the tastes of the most discerning individuals. Inspired residences, unparalleled amenities, combined with breathtaking vistas promise to make your Spiaggia condo lifestyle an unending symphony. As you emerge from the stunning Mediterranean pool, partake of the home of your dreams. Surfside real estate is among some of the most desirable real estate in Florida and offers spacious residences, direct ocean views, 5 star amenities and 24 hours security and much more. Many investors buy Spiaggia Surfside condos both for investment and as a vacation residence, and units are available for sale or for rent. Spiaggia condominium – a boutique style building offering private beach club, oceanfront pool & fitness center, security and valet 24/7, and more. Just outside the neighborhood of Bal Harbour lies the Spiaggia condo, located within the neighboring Surfside and boasting several services and amenities that can fool anyone into thinking it’s actually a resort and not just a gorgeous condominium community. Surfside occupies a choice location in Miami-Dade. The small community -- only nine blocks long and ten blocks wide at its largest point -- is nestled between Miami Beach and Bal Harbour, the Atlantic Ocean and the Intracoastal Waterway. Surfside Miami Florida is a great family vacation destination, but it is also a great upscale community in which you can call home. You’re not far from all the glitz that South Beach and Miami Beach has to offer, but at the same time you’re in an area that is safer and not as crowded as Miami. The ocean, the Bal Harbour Shops, restaurants, cafes, parks and an elementary school are within walking distance for the town's 4,500 residents. Surfside has its own wonderful business and commercial district with fine restaurants, all reasonably priced, and a great variety of over 100 stores, shops and boutiques. All of the homes and condos in the city of Surfside are within walking distance to world class shopping, fantastic public beaches, a number of public parks, playgrounds, tennis courts, and recreational facilities, and so much more. As a place to live, or as a destination for visitors of all ages, Surfside is amongst the world's best places to live and Spiaggia Surfside is one of the best places to call home! 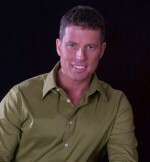 Steve Samuels is known as one of the premier Surfside Real Estate & Surfside Condo brokers in the South Florida market. His negotiation skills, market knowledge and no-nonsense, results-driven approach has made him one of the most sought after luxury condominium and single family waterfront realtors from Surfside, Miami, to Palm Beach County. View MLS Listings for Surfside, Fisher Island Condos for Sale in South Florida and Miami Beach. CondosandCondos.com is one of the Leading South Florida Real Estate websites where you can find Ocean Front Condos for Sale & Rent . Search for Oceanfront Condos Luxury Condos in Miami, Miami Beach, South Beach, Sunny Isles, Hallandale, Key Biscayne, Bal Harbour, Fisher Island, Coral Gables, and all of South Florida.